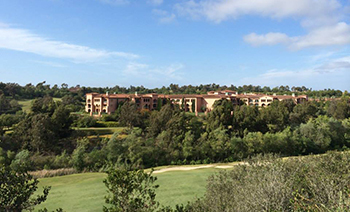 RWMI celebrated Cinco De Mayo by hosting 50 clients and collegues for a great day of golf and fundraising at the beautiful Grand Del Mar Golf Club. Players enjoyed 5 star service from the fantastic staff at The Grand, and several players got into the holiday spirit sporting authentic sombreros. The players gathered for hosted drinks and hors d’ouvres in Club M after the round, and the winning team had $1000 donated in their name to the charity of their choice! Holly - John and I felt all day long the steady professionalism of you and John. Thanks so much for doing it all and doing it right. It was a wonderful day - Thank you both so much. 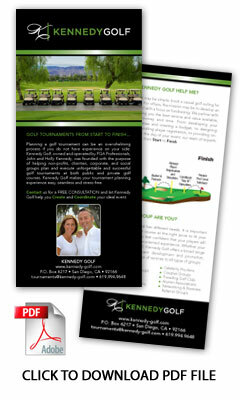 I can't say enough about the guidance and support that Kennedy Golf provided in the planning of the tournament. They provided examples of literature and advice on everything from sales to scheduling to structure. I would recommend Holly and her company to anyone planning a golf event and I'm looking forward to working with her on next year's tournament. 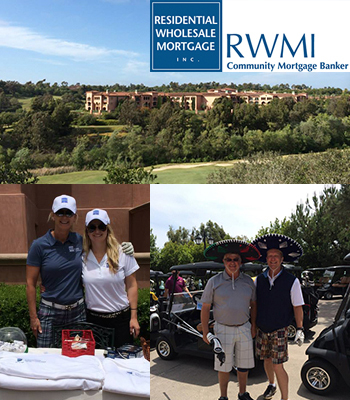 Thank you so much for your outstanding work coordinating RWMI’s First Annual Charity Golf Tournament. Everyone had a great day and The Grand Staff could not have been more accommodating. It was a first class experience and we look forward to a bigger turnout next year. Thank you so much for your help with our Pre-Apprentice golf tournament yesterday. The signage was great, logistics from registration to awards was very smooth, and the presentations were just the right length. With over 110 players, we surpassed our goal of 100. And most importantly, it provided for a great amount of awareness for the Academy which will be tracked in our admissions results over time. You and John are a pleasure to work with, extremely knowledgeable, organized and on top of everything. People can put their trust in you and the value you bring!